'Looks like someone beat me to the new office!' He's off to a good start. I hope the Internet don't try and force him into being a massive memelord like Reggie - that stuff needs to happen naturally. 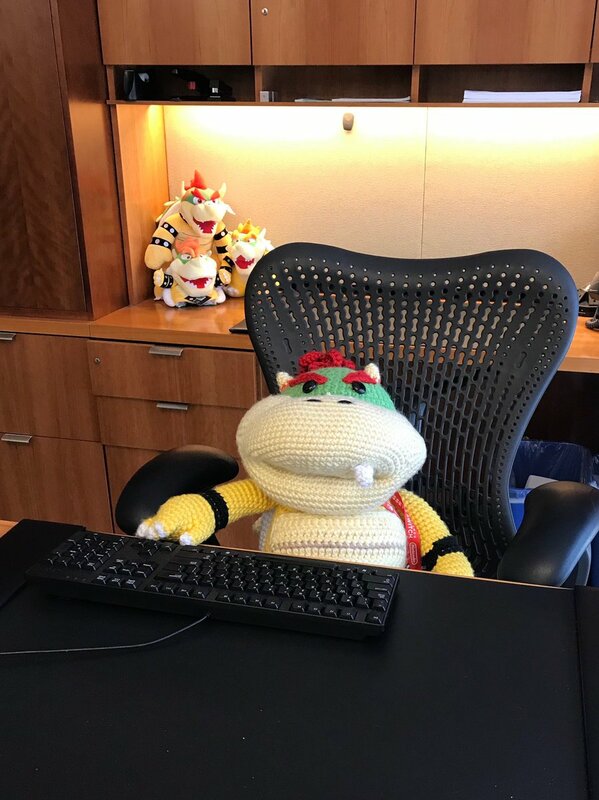 I'm looking forward to seeing him during the E3 Direct, though. I can't see that happening to be honest, I think the community are going to hunker down and force the memes where they can. But yep playing up the Bowser stuff for now is fair enough. I had a smile at that tweet.